Get ready for the ultimate slumber party with this set of five kid-friendly water-based nail polishes. With Sheepy, Cookie, Polly, Piglou, and Kitty to choose from, everyone will find a color to match their pajamas. 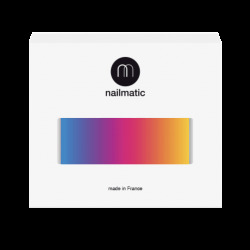 Our water-based nail colors are formulated especially for kids. No grown-ups allowed! They go on easily, dry quickly, and—get this—they wash off with nothing more than warm water and soap. No need for stinky nail polish remover! They’re a piece of cake to apply! Awaken the color by shaking the bottle. Throwing your kid's birthday can -and will- go smoothly if you follow our 10 golden rules for a perfect party!